History has it that bags have been around for centuries. And yes, bags have been used by both men and women. As early as the 14th century, it was recorded that people used bags to carry their money afraid that they were of pickpockets and thieves in their midst. Nowadays, bags come in different sizes and designed in various shapes and materials depending on how they will be used and of course, as status symbol. Bags have, indeed, become a necessity that both men and women own at least a bag or two which are suited to their needs and taste. “The handbag is an essential element of a woman’s wardrobe that is both functional and fashionable. As we all know, women’s bags usually contain their wallet, lipstick, hand sanitizer, cellular phone, a bottle of perfume, keys, among other personal things. 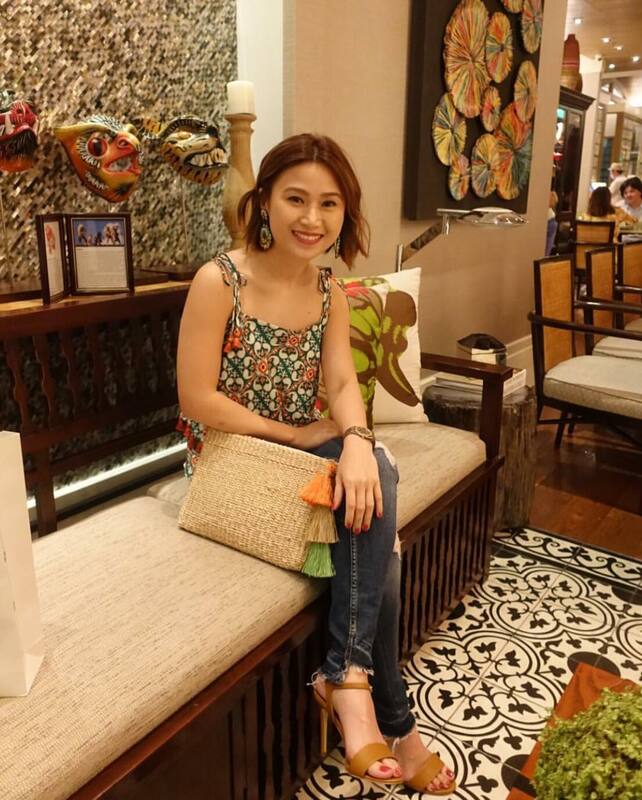 And the choice of a handbag design reflects the personality of the user in so many ways,” says the 33-year-old Eica Martina Ong-Co, the lady behind the Wenya.ph. brand. Wenya bags’ designs are inspired by Eica Martina Ong-Co’s being a true Dabawenya. Her bags show the distinct charm and dynamism that champions the fine craftsmanship of Philippine weavers using different weaving techniques found all over the Philippines. 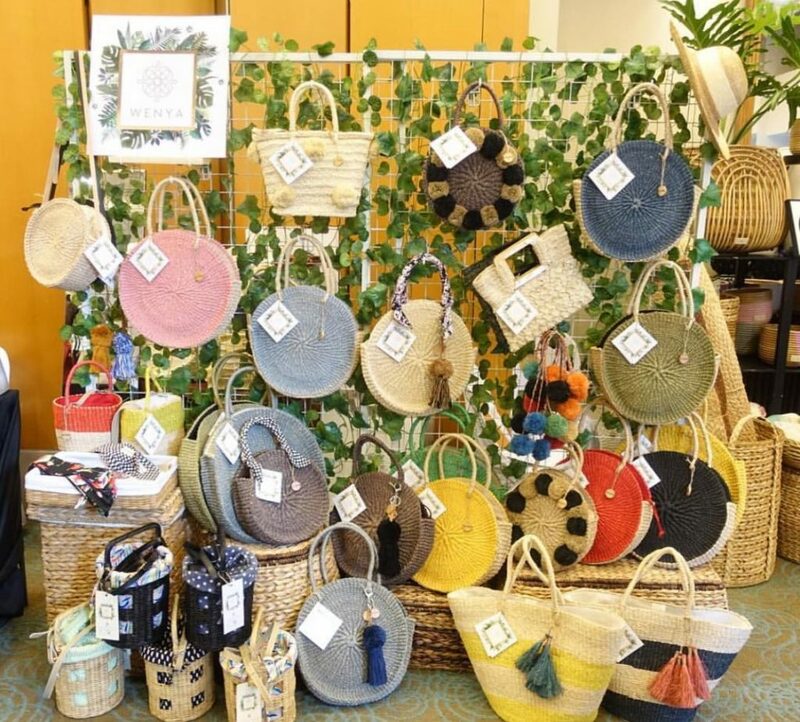 The Wenya handbags showcase what Pinoy artistry and handiwork are all about. The young entrepreneur Eica Martina studied fashion design in Milan, Italy, with the ultimate goal of promoting Filipino-inspired fashion globally. Yes, the designer is well aware of her social responsibility to her team of Pinoy craftsmen from the weavers to the bag makers. “Eica is one person who always thinks of others before herself. Thanks goodness that I have a good daughter who is instilled with the right values and morals; and doesn’t give me or her dad problems. She is an exemplary mom, wife, and sister all rolled in one beautiful woman which she does perfectly. She brings joy to everybody and that includes her employees and the people she deals with in her business. We, as parents, are truly supportive and understanding of our talented daughter,” says her mom, Elena Ong, who goes to work out in the gym with her husband daily. It’s from her parents that Eica Martina got her discipline, diligence and persistence in whatever she does to see it through. Indeed, the fashion and design enterprise in Davao has attracted the attention of fashionistas from all over the Philippines lately with Marga Montemayor-Nograles’ Kaayo and Wilson Limon’s signature line of lumad-inspired fashion. It is good business for Davao’s excelling fashion makers but there is truly stiff competition in the market. People are always looking for that next great fashion item and you have to be good in drawing attention and gaining customers. Well, Wenya bags are made painstakingly by Pinoy hands and designed straight from the heart by a Dabawenya. Here’s wishing Eica Martina Ong-Co and her Wenya bags lots of luck.